Since the mid-1990s, Skytek has been a leading developer of information and operation-based software tools that allow clients like NASA, ESA USA (United Space Alliance) and other leading national and international organisations to manage and co-ordinate their information assets. Skytek have received awards from NASA for our software solutions. Our research and development team is at the heart of our success. We create powerful and innovative software applications, attuned to specific commercial needs of the Space industry, Aerospace, Security sectors, as well as understanding and interpreting the impact of Space Weather on modern technology infrastructure to create areas of process efficiency and competitive advantage for our clients. Since its foundation in 1997, Skytek has built a world class software product development team with a strong R&D programme that focuses on emerging internet standards and languages to provide interfaces that are intelligent, platform-independent and adaptable. Our long standing relationship with our international client base is testimony to the quality of our technology and our ability to deliver the right solution when and where it’s needed. 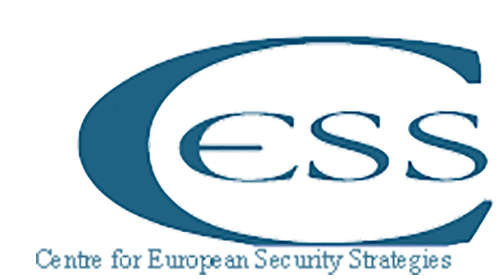 The Centre for European Security Strategies (CESS) supports public, private and multinational decision-makers with the development of scenarios and expertise to meet strategic threats. Using flexible expert and partner networks, CESS compiles answers to the strategic questions of its clients at the interfaces between the vulnerability of central functional areas and a growing risk exposure. In a holistic approach CESS provides the development of scenarios, concepts, capabilities and structures for governments and enterprises to gain strategic capacity to act. Threats and risks are part of the technological, economical, political and social development and the resulting changes and upheaval. Environmental protection and global warming, negligent handling of nature and natural disasters, shortage of resources and increasing energy demand, global economic networks and their increasing vulnerability, a rising disposition of fundamental and religious groups to use violence as well as criminal and terror networks create new and complex structures of menace, threat and risk. Not only the short-term primary effects, but the consequent long-term impact as a result of inter-connectedness and reactions will particularly strain and change both economy and society, as drastically demonstrated by the latest tsunami and hurricane disasters, the global financial crisis or terrorist attacks such as 9/11. Our infrastructures hence play an important role: some are highly vulnerable in view of the new threats and are thus extremely critical for the economy, states and society. Solutions for handling the resulting highly intense crises therefore require a coordination of national, multi-national and private measures. Compared to the past, entrepreneurial, economic and political actions increasingly require the involvement of strategic analyses: what are the technological, political and strategic developments (“scenarios”) to be expected in the medium and long term? How do they affect interests, plans, business development and politics, and which strategies and options should thus be derived? ONEST SOLUTIONS is a Romanian R&D SME, legal entity with its administrative centre located in Bucharest, Romania. ONEST SOLUTIONS offers engineering and system integration services, hardware and software products development, as well as project management and consultancy. Our team has extensive experience in developing products for data acquisition and processing systems, integrated systems for objectives management and critical infrastructure protection. The team also has a large experience in research and development projects. Among our achievements: software tool for physical security risk assessment, freight and transportation management solution, alarm communicator equipment. Trilateral Research Ltd. is a niche research and advisory consultancy bringing together strategy, technology and policy. It specialises in research and the provision of strategic, policy and regulatory advice on new technologies, privacy, trust, risk and security issues. Its objectives include helping policy-makers improve policy and decision-making through research and analysis, and providing the public and private sector with practical solutions addressing new emerging regulatory and technological challenges. Trilateral’s five core policy and research areas include: privacy and data protection; security and surveillance; crisis & disaster management; data science, and ethics & human rights. Its key services include: Impact assessments, policy and regulatory advice, research services, technology assessment, data services, and training. 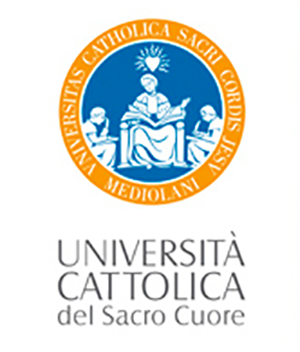 The Catholic University (UCSC – Università Cattolica del Sacro Cuore) is an Italian Academic institution founded in Milan in 1921. The School of Medicine of UCSC provides healthcare at the Policlinico Universitario “A. Gemelli” in Rome, with 1400 beds and a turnover of 70,000 patients annually, providing all clinical specialties. The activities are articulated in research, training and healthcare. As well as the School of Medicine and related professional schools, the UCSC has its School of Health Management. The Emergency Department (DEA) is a large structure through which all emergency cases access the hospital. It includes Emergency Rooms for medical and surgical specialities (including trauma), adult and paediatric Intensive Care, Emergency Medicine Ward and a Poison Centre providing a 24 hour emergency telephone assistance line. The DEA includes a Helipad habilitated for 24/7 landing of airborne ambulances. Leonardo (formerly as Selex ES, a Finmeccanica company), is an international leader in electronic and information technologies for defence systems, aerospace, data, infrastructures, land security and protection and sustainable ’smart’ solutions. From the design, development and production of state-of-the-art equipment, software and systems to through life support, Leonardo partners with its customers to deliver the information superiority required to act decisively, complete missions and maintain security and protection for operational effectiveness. Leonardo provides C4ISTAR systems, integrated products and solutions for airborne, land and naval applications delivering mission critical systems for situational awareness, self-protection and surveillance based on proprietary radar and electro-optic sensors, avionics, electronic warfare, communication, space sensors and UAV solutions. Leonardo also owns advanced technologies, products and capabilities in the design, manufacture and integration of air and maritime traffic control and management systems, the monitoring and protection of green and blue borders, secure communication networks and the deployment of ’smart’ solutions for managing systems and infrastructures. Leonardo is a global business with 17,700 employees, revenues in excess of 3.5 billion euros, main operations in Italy and the UK and a strong industrial and commercial footprint in the US, Germany, Turkey, Romania, Brazil, Saudi Arabia and India. 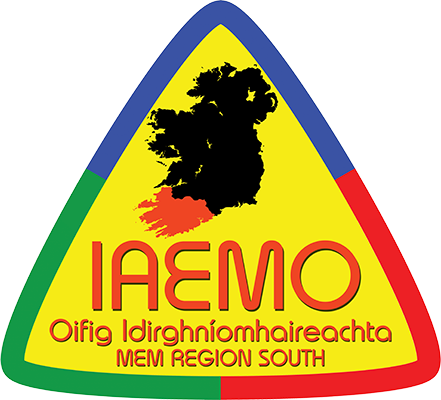 The Inter-Agency Emergency Management Office (IAEMO) Major Emergency Management (MEM) Region South, is comprised of five key agencies: An Garda Síochána, HSE South, Cork County Council, Cork City Council, Kerry County Council. Duties of the Inter-Agency Emergency Management Office are to Provide support on a full time basis to the participating agencies in the consideration and implementation of their responsibilities in planning and preparing for their response to Major Emergencies in the Cork & Kerry Area; chair the SEVESO/COMAH group and report to the Regional Working Group, (RWG); undertake work on behalf of the RWG and other subgroups in relation to Major Emergency Management; undertake work on behalf of the Regional Steering Group, (RSG); co-ordinate the preparation of mandatory External Emergency Plans (EEPs) for SEVESO/COMAH sites. This preparation to include pre test planning, public consultation, testing and reviewing the 15 Upper Tier SEVESO sites in the MEM Region South. Review and issue the completed Major Emergency Plans to nominated individuals within the Principle Response Agencies, (PRAs); and to co-ordinate and develop liaison between the participating agencies and the voluntary agencies.